Espresso Train Café is open Sunday to Friday, 6.30am – 2pm located at 46 Station Street, Nundah (opposite Nundah Train Station, Sandgate Road side). 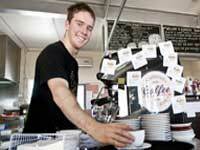 We deliver catering to Brisbane north side and beyond for training, meetings and events. 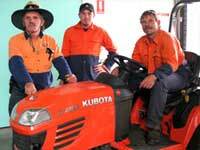 A hardworking group of multi-skilled workers performing commercial and private property maintenance. The ‘Good Feed Trailer’ is staffed by disadvantaged members of our community, and will have a rotating menu of great food options. Join our mailing list or follow us on Facebook to see where it will pop up next! We offer practical, hands-on training in gardening or hospitality, combined with support to develop new enterprises. 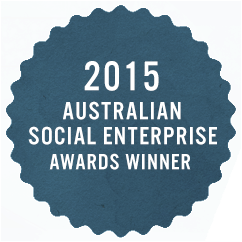 We're finalists in the Australian Social Enterprise Awards 2016. 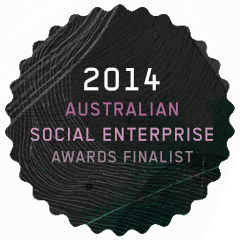 This year in the Innovation category for our work supporting marginalised groups to develop their own enterprises. A great article on our Co-operative enterprise model has been published in Generosity Magazine available here. We're committed to documenting our social impact. Our 2016 Outcomes Report can be found here. Copyright © 2019 Nundah Community Enterprises Cooperative.